Hardness: Hardness is a good indicator of a material’s wear resistance. Harder materials will provide longer knife life, but are also more brittle and prone to cracking/chipping during normal use. Toughness/Brittleness: Tougher materials are less least likely to chip/crack during use; the trade-off is that tougher materials will typically wear more quickly. Corrosion resistance: The ability to withstand discoloration or oxidization damage due to contact with chemicals common to food processing plants, e.g., organic acids, chlorine-based cleaners, process water. Formability: How easy is it to form the material into the desired final shape for the knife design. Ease of manufacturing: The ability of the material to be machined. Availability: Exotic materials maybe offer the ideal combination of properties for a knife design, but may be impractical due to high cost or the difficulty of sourcing the material. 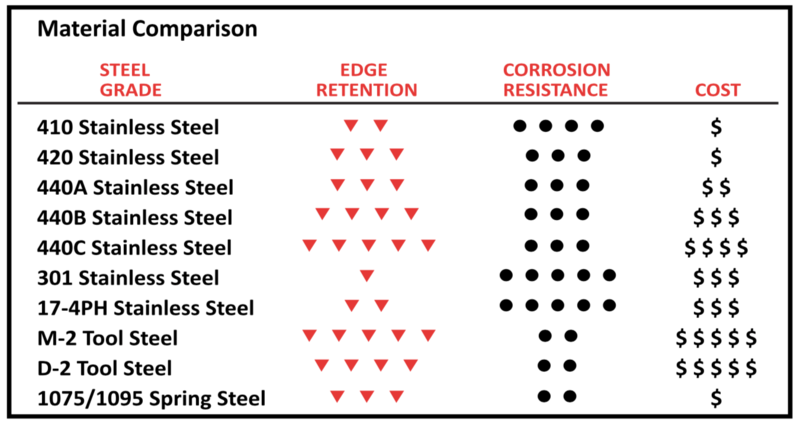 For the steels typically used to make knives, there is a trade-off between material hardness and toughness. The key to material selection for a knife design is striking the right balance between these two properties.  AceCo performs all heat treat operations in house. We have a staff metallurgist and a metallurgical lab to assure the quality of our heat treatment. When material is hardened discoloration may occur. If not properly care for harden material begins to chip.